Info: As of Tuesday 5th March 2019, Dedsert (Ireland) Limited, trading as BetBright has ceased offering gambling services to its customers on a permanent basis. Please take a look at the Best Betting Sites in the UK for 2019. 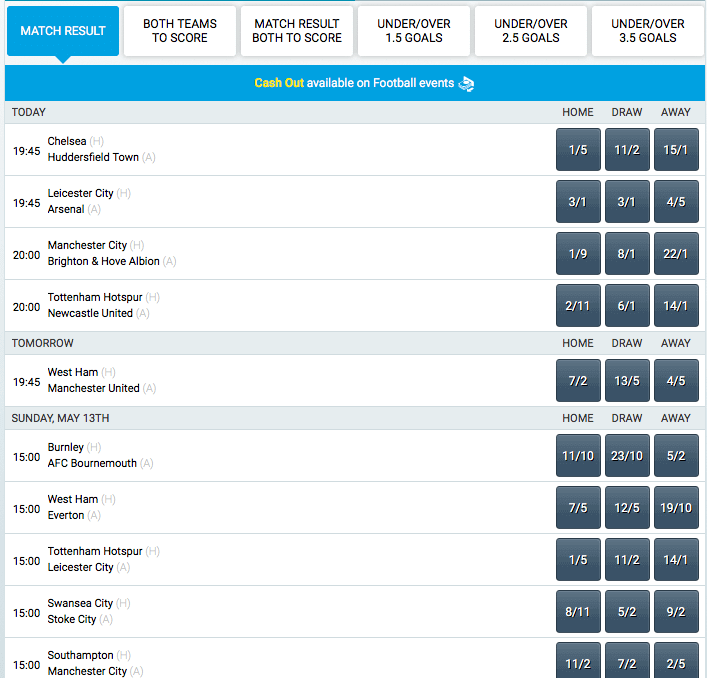 BetBright are one of the newest online bookmakers around having been founded back in 2013 by Dedsert Limited. The Irish-based company have set out to deliver exactly what customers are demanding in such a competitive market today, offering an uncomplicated and easy-to-use betting platform. Despite having gained a significant following thanks to their casino page, their sportsbook continues to grow in popularity too. Our BetBright review certainly demonstrates that there are still improvements to be made surrounding their platform, however they are a bookmaker who have already shown signs of making a major impact in the industry, with their odds, promotions and additional features likely to be particularly pleasing to punters. The following review will take a detailed look at their entire operation, perfect for those looking to gain a better understanding of this relatively new bookmaker. As previously mentioned, BetBright was founded in 2013, making them one of the least experienced bookmakers operating online today. Dedsert Limited are the owners of the company, with their headquarters currently being based in Dublin, Ireland. Just a year after they were founded, BetBright announced that they had teamed up with the Mirror “Punters Club” in a bid to expand their customer base, with users offered the chance to earn their membership money back as a free bet. Having initially only offered a sportsbook to their customers, BetBright established an online casino in an attempt to compete in a different sector if the industry. Shortly after this time, the company also significantly enhanced their sportsbook offerings, with an increase in virtual games particularly noticeable. Meanwhile, at the end of 2017, BetBright confirmed the hiring of former Poker Stars Director, Sarne Lightman, as their new Managing Director. In terms of sponsorship deals, BetBright have already developed partnerships with Cheltenham Racecourse, including four of the seven races held on New Years’ Day. The BetBright Cup is also now an event which takes place at the Cheltenham Festival each year, while the newcomers to the industry are now the official partner of Europe’s largest MMA promotion. Finally, former Wigan Athletic and Fulham footballer Jimmy Bullard is now an ambassador for the company. Despite having initially struggled to compete with some of the major players in the industry when it comes to the amount of markets in which they offer, BetBright have certainly improved in this area, with now almost 20 different sports covered on their site. Although this is still not amongst the biggest selection around, BetBright certainly cater for the majority of punters, with all of the most popular events on offer. As you would expect with an Irish bookmaker, football is a sport which features heavily on their sportsbook, with the English Premier League helping to generate a large percentage of their transactions. Elsewhere, sports such as horse racing, tennis and virtual markets are also among the most popular at BetBright, with more diverse disciplines including boxing, snooker and American Football also on offer. Meanwhile, BetBright have been able to make an impact in the industry partly thanks to the competitiveness of their odds. As a result, our BetBright review shows that the betting margins on offer are largely encouraging, with some significant earnings available to customers. Odds are particularly pleasing when it comes to in-play markets, which is something that is perhaps unexpected for a bookmaker so new to the industry. Punters are able to select between either decimal or fractional in terms of how they wish odds to be displayed when on the BetBright website. BetBright quickly made it clear that they are a bookmaker who believe in the notion that “less is more”. Their website certainly follows suit, and despite not being the most visually pleasing around, its ease-of-use certainly allows for bets to be placed quickly and for efficient navigation. The user interface has clearly been well thought out and cleverly designed, with users able to quickly move between pages thanks to clear links at the top of the page at all times. The colour scheme may leave a little to be desired, however with all markets being listed down the left-hand side of the page, the frustration found at other sites in this area is certainly not a problem here. BetBright also offer a detailed mobile app as part of their service, allowing customers to place bets on the go using their handheld device. The app is free to download for both iOS and Android users, with the app perhaps even quicker and easy-to-use than their main site itself. All of the same features are also available using the app, with many punters having already taken advantage of it. Our BetBright review shows that their sportsbook is one that always offers a wide range of options when it comes to placing bets, no matter the time of day or day of the week. In-play betting certainly plays a major part of their offering, with sports such as football, basketball, snooker and tennis all available at the time of writing this BetBright review. As well as this, customers at BetBright will be particularly pleased with the amount of live horse racing markets, with meetings from across the globe covered. All in-play markets are clearly listed and can be accessed via the obvious link at the top of the page, with such markets offering punters plenty of opportunities to win big. As well as this, BetBright currently offer customers the chance to watch live horse racing action from the UK & Ireland thanks to their “BBTV” page. In order to gain access to such streams, customers must either have a positive account balance or have placed a bet on the race in which they wish to view. 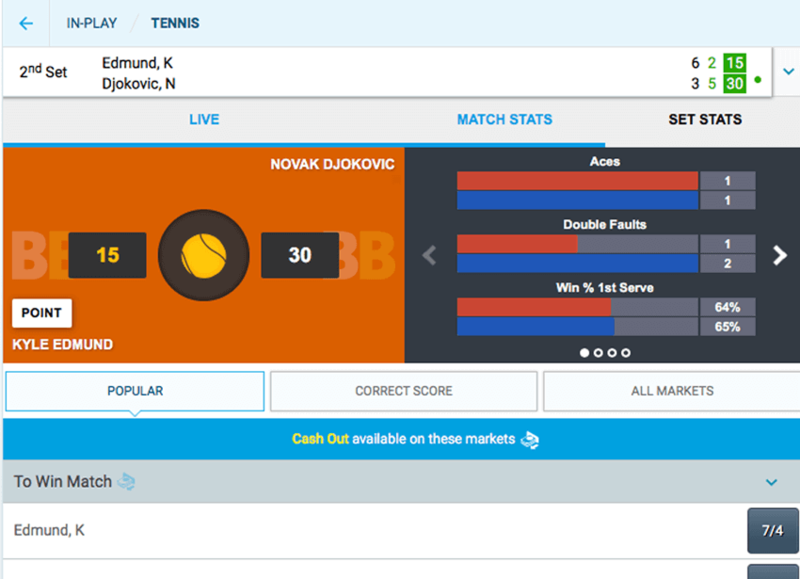 The ability to both bet upon and watch live sporting action has proven to be one of the most exciting aspects of online wagering, meaning that this is another area of our review in which they score well, despite the lack of diversity in their streaming service. Bonuses and promotions have long been one of the biggest attractions for new customers when it comes to registering with a new bookmaker, with BetBright undoubtedly recognising this. Those signing up with a new account at BetBright are in with the chance of earning a Free Bet on all net daily losses. Qualification bets must be placed on mobile app and mobile website only. You need to place a minimum of 3 in-play bets per day with min odds of 1/5. If your bet loses, you will get 25% up to £100 back as a Free bet. 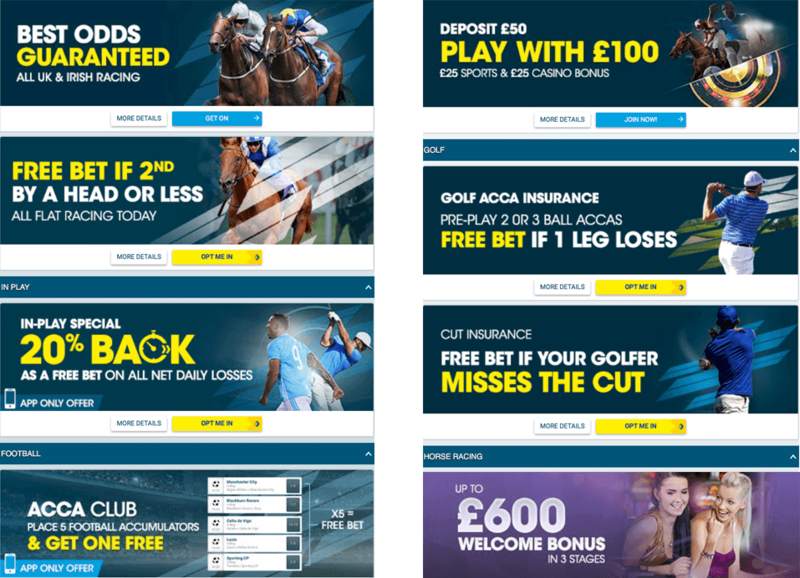 Furthermore BetBright offer a wide range of ongoing promotions for existing customers, which generally revolve around specific sports found on their site. Our BetBright review found a potentially lucrative football offer surrounding an additional pick on an accumulator style bet, while horse racing and tennis promotions also regular appear. Best odds guaranteed is often available on all UK horse races, while accumulator insurance on football matches around Europe is a welcome addition. Despite being relatively new to the marketplace, BetBright have still developed an effective customer service system, with the majority of user issues dealt with quickly. Customers on their site or mobile app are able to contact members of their support team via telephone between the hours of 8am to midnight from Monday-Sunday, with our BetBright review finding their agents to be polite and knowledgeable. Punters are also able to contact BetBright via email, with response times again being pleasing. Meanwhile, a live-chat service is available at certain times, offering an extremely quick method of receiving support. BetBright also provide a detailed FAQ page on their website, which answers some of the most commonly asked questions regarding their operation. Safety is certainly of key importance when it comes to wagering online, with customers requiring 100% confidence when it comes to their preferred bookmaker. 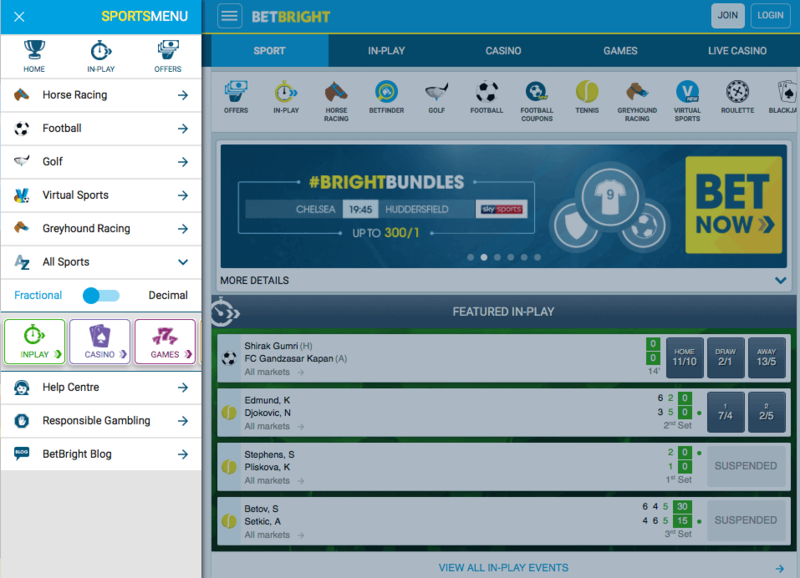 BetBright can certainly be regarded as a secure betting platform, with the bookmaker having taken a range of measures in order to ensure this remains the case. BetBright hold a full gambling license from the UK Gambling Commission, who only award such licenses to those reaching the highest standards. As well as this, BetBright also take advantage of a full SSL encryption, ensuring that all transactions made on their platforms are done so securely. BetBright have already made significant improvements in this area, showing that they are a company focused on security and reliability, something that will come as a pleasing factor to potential customers. When it comes to wagering limits, our BetBright review has found that this is an area in which they are currently unable to compete with some of their more established and experienced competitors. The maximum deposit that customers can currently make at BetBright is just £500, which will come as a disappointment to more experienced punters. However, for most recreational users, this will be more than adequate, with BetBright also allowing customers to set deposit limits in a 24 hour period. Meanwhile, minimum stakes at BetBright start at just £1, which is again a little disappointing when compared to other bookmakers within the market, who offer stakes from around £0.10. Maximum withdrawals range depending on the sport at BetBright, with football and horse racing markets allowing for the biggest winnings. Our BetBright review has certainly demonstrated a number of both positive and negative factors surrounding their operation, however the positives certainly outway the negatives for the most part. The odds that are found for the majority of sports markets are pleasing and allow for some potentially large winnings, while a generous welcome bonus will also be pleasing to new customers. Meanwhile, existing customers are kept satisfied by a range of ongoing promotions, which generally surround football and horse racing. BetBright are also a bookmaker who pride themselves on their simplicity, with their interface being well designed, meaning that navigation via their website or mobile app is easy and stress-free. However, a lack of banking options and betting limits are likely to detour some potential customers, however BetBright are likely to make improvements in such areas if they continue to gain a stronghold in the market. Despite these negative points, BetBright certainly provide a good all-round sportsbook, with a range of additional features making using their platform an enjoyable experience. It remains to be seen as to whether they are able to stick to their guns when it comes to their philosophy. *Betbright T&C’s: 18+. Customers must Opt In to avail of promotion. Max Free Bet £100. Min Free Bet £10. Free Bet Credited by 11am the following day. Min Odds 1/5 (1.20). Min 3 In-Play Bets per day to qualify. Free Bet expires at midnight on day of crediting. T&Cs apply.